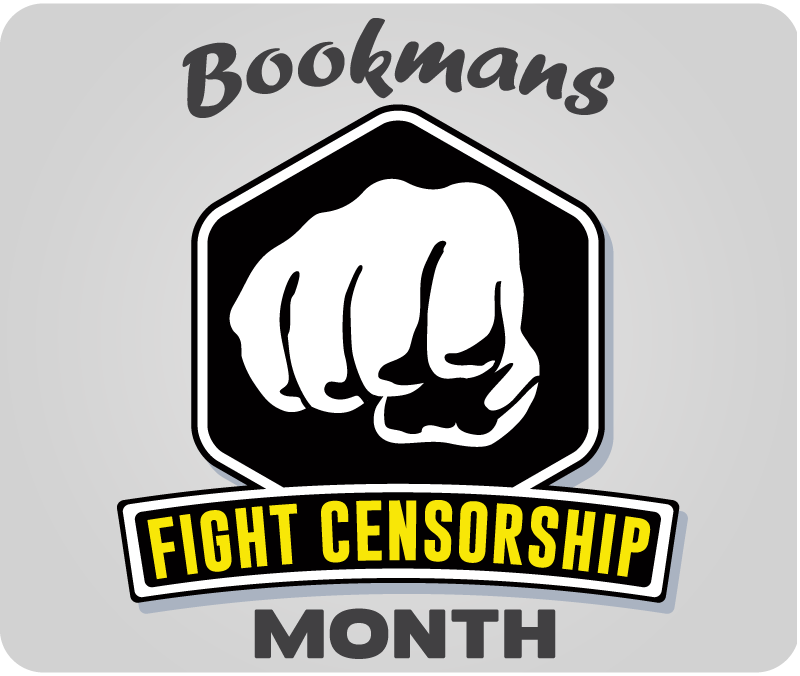 Bookmans fights censorship every month, but in September we intensify our focus. We believe in the freedom to read, watch, play and listen to whatever media we want. In conjunction with Banned Books Week, we highlight ways to speak up and speak out. The right to discovery, knowledge, and enlightenment is never a crime — and we want to keep it that way. Banned Books Week is an annual celebration of literary freedom on a national level. Libraries and bookstores around the country spread the word against censorship with creative campaigns, displays, and events. Launched in 1982, Banned Books Week is a response to the rise in the number of challenged to books in schools, bookstores, and libraries. We believe that the freedom to read ’em is critical to building intelligent, free-thinking, (and rad) communities. Did you know that Bookmans has been fighting censorship for more than 40 years? It’s true! All month long, we’ll be taking a walk down memory lane and examining some Fight Censorship campaigns from our past with Joel Yohn, Bookmans’ graphic designer. Be sure to follow along with the conversation on our website and on social media! Join us to celebrate our right to read! If you consider yourself a brave, bold reader, find your next great read with Blind Date with a Banned Book at your local Bookmans! Get caught reading a banned book and join the fight! Bookmans Flagstaff is having a Banned Book Week Giveaway. Bookmans Phoenix is testing your knowledge of banned and challenged books with Trivia Night: Banned Books. Don’t miss Censorship Craft Saturday at Bookmans Ina. 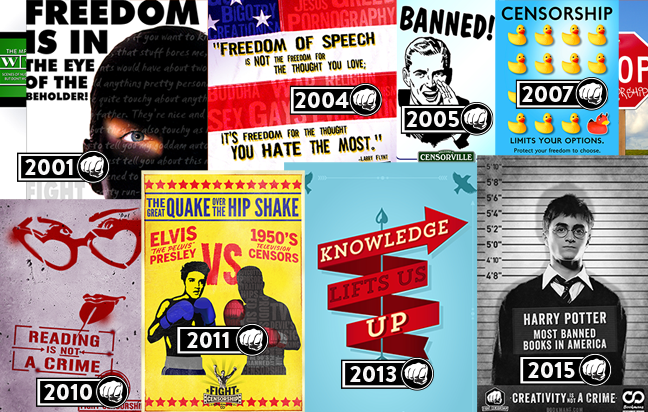 Bookmans East is turning Studio Nights into an exploration of censorship with Studio Nights: Banned Books. Collage Cut + Paste Phoenix is heading to Bookmans Mesa for a Banned Book-themed collage event. Check out our Events Calendar for more information on these events and others. Here’s to keeping the freedom to write, publish and purchase. Long live good reads!